What degree wedges do you usually recommend the average player use? 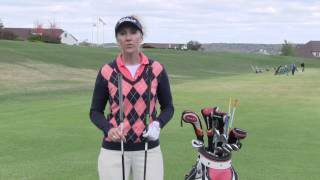 Should a senior citizen use a lighter set of clubs? During a round, how often do change your ball? Tony Sinclair I purchased a set of Callaway irons and woods off the rack. I would like to have them fitted to me. How can I have that done? For the average 15 handicapper, do you recommend they carry 3 and 4 irons or hybrids? How often should you replace your grips? Thank you for your time. I have always had an issue hitting off the tee due to a disease in my back. I am 5 ft. 9 and only weigh 135 lbs. So in short I have never been able to hit the ball very long at all. Most of the time when I get the driver in my hand, the large head I guess will mess with me mentally and I would hit it with a terrible fade (maybe 50 to 70 yds). I always did well with my woods though. My wife decided to surprise me with a trip to Golf Galaxy where I was testing drivers about three months ago. I was able to hit the ball about 180 yds. max. I expressed my issue to the salesman at which point he gave me a couple of options with low loft 3-woods. I settled on a cobra wood that adjusts to 13 degrees. I was striking it well (5 yd. fade, 240 yds) everytime. My question now is that because it is a smaller head and considered a wood, should I still try to learn how to hit a driver? Or do many people take the route that I do? Also, is that fair distance considering the loft and degrees of the chosen club? I was curious to get answers here for peace of mind since a couple older people I play with tell me that it was a very stupid decision. Besides shaft stiffness, do different types of clubs tend to be better for fast and slow swing golfers? 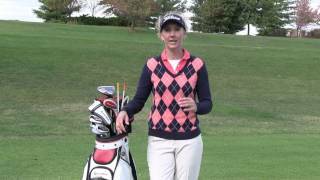 My swing speed for a driver is 110 MPH and I want to make sure I am shopping correctly.